Synopsis: Body Team 12 is tasked with collecting the victims at the height of the Ebola outbreak. These body collectors have arguably the most dangerous and gruesome job in the world. Yet despite the strain they emerge as heroes while the film explores their philosophy and strength. 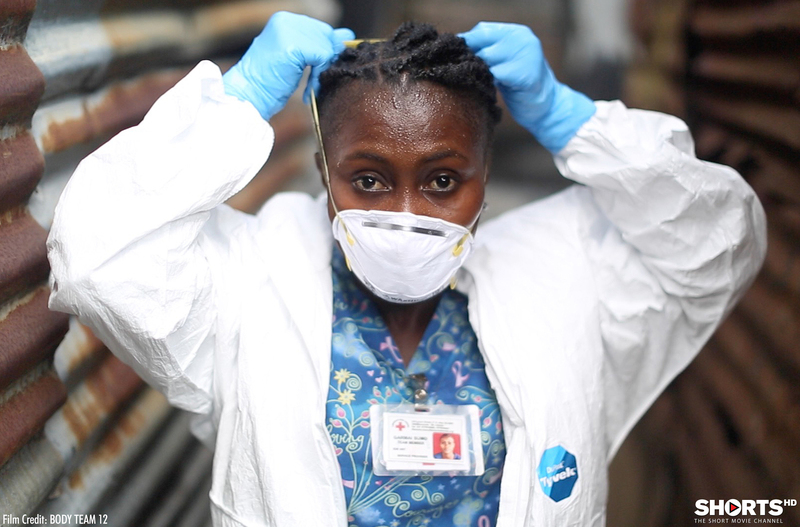 The story is told on the ground in Monrovia, Liberia through the eyes of the only female member of the team, who reveals the heartbreaking, lifesaving work of removing bodies from loved ones in order to halt transmission of the disease. Director’s Biography: David Darg is the Co-founder of RYOT, the first immersive media company based in Los Angeles linking content to action. He spent the last decade as a first responder and frontline contributor for Reuters, the BBC and CNN, covering some of the world’s largest natural disasters and wars. “Body Team 12” won Best Documentary Short at the 2015 Tribeca Film Festival. Accolades include being named one of Esquire Magazine’s “Americans of the Year” as well as a “Hollywood Maverick” by Details Magazine. David grew up in the Middle East and England. Synopsis: When Bill Babbitt realizes his brother Manny has committed a crime he agonizes over his decision; should he call the police? Last Day of Freedom is an animated exploration of post-traumatic stress disorder and capital punishment. The animation itself is unique, moving from the fine lines of reenactments and an interview session with Babbitt’s brother, to a black-and-white, watercolor-like aesthetic that adds to the intimate nature of the narrative being conveyed. The effect is a bit of a fever dream, often forcing a subjective perspective on a former soldier haunted by the horrors of the Vietnam War and the ominous unfolding of a legal situation that sheds light on one of the many ways our system fails troubled vets. originally from the U.K., and is an Associate Professor of Art & Digital Art New Media at the University of California, Santa Cruz. Nomi was born in Israel and is a freelance editor and animator. This award-winning artist team works on film, video, new media and art installations that explore trauma, justice and memory. Their work looks at the ways individuals cope when faced with social and political forces they cannot control. Their work incorporates animation, installation, public art, documentary film, fusing drawing practices and aesthetics with new technologies and contemporary interpretations. They seek to address critical social issues through collaborative projects that question the false divisions between public and private spheres, personal memory, politics and democracy. Synopsis: Saba, an 18-year-old Pakistani girl miraculously survived an attempt honor killing at the hands of her father and uncle after she dared to fall in love with a boy and elope. A Girl in the River does a fantastic job of providing a space for the father to explain his religious-diseased rationale, leaving you nothing but compassionate for women confined to a society infused with that kind of barbarism. Peacekeepers” which premiered at the Tribeca Film Festival and the Toronto International Film Festival respectively. She has made over a dozen multi-award winning films in over 10 countries around the world. Her films include HBO Documentary “Saving Face” which won an Oscar® in 2012, “Transgenders: Pakistan’s Open Secret” and “Pakistan’s Taliban Generation”. Time Magazine included Sharmeen in their annual list of the 100 most influential people in the world. Synopsis: A teenager growing up in a Vietnamese care center for children disabled by Agent Orange dreams of becoming a professional artist. Director’s Biography: Courtney Marsh has worked extensively in the camera department under the mentorship of Salvatore Totino. 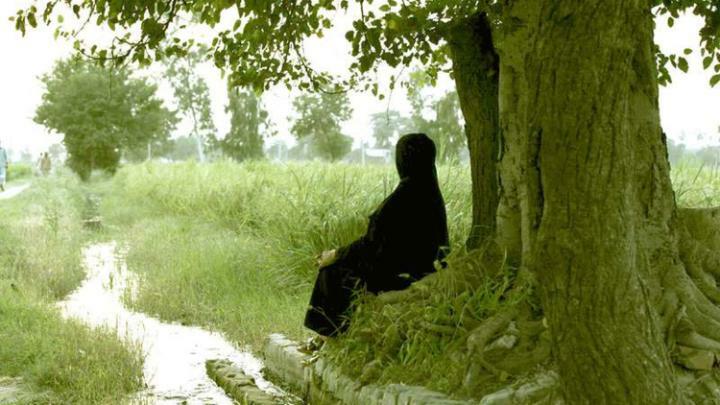 Her various short films have screened internationally. Synopsis: This film begins by putting the eponymous journalist/filmmaker’s monumental 10-hour documentary on the Holocaust, “Shoah,” in a quick context with thoughts from the likes of film critic Richard Brody and director Marcel Ophuls. It then dives headlong into a study of its making, with Lanzmann recounting the great emotional toll the seven years of production and five years of editing had on him. It is at once a fascinating portrait of a man openly pessimistic about the world, and a unique distillation of a creative process that yielded one of the most powerful cinematic documents of our time. Consider it a strong contender. Director’s Biography: Adam Benzinne is an accomplished professional journalist and filmmaker, with senior editorial experience gained on both sides of the Atlantic. ANIMATION SHORTS (Running Time: 86 minutes) the animation program features 9 films: the 5 nominees as well as 4 other animation films that were short-listed for a nomination. The first 8 of these are appropriate for children of all ages – the 9th may not be. Click here for descriptions of the five nominees.